Let’s be fair to the president. The problem with healthcare at the Veteran’s Administration preceded President Obama. The Bush administration tried to do something about it by increasing funding. Funding was increased even more under the Obama administration. In all, spending has increased 106% since 2003. Caseloads have only increased 30% in the same time period. So we don’t have a money problem as much as a structural problem. What bothers me about this president is the need for spin, the need to focus on PR at the expense of leadership. Government-run healthcare always leads to rationing. That’s why veterans died. They had to wait until their number came up in the rationing queue. Some couldn’t wait long enough. They died. This scandal gives a glimpse at what awaits us with Obamacare over the years ahead as rationing, or ‘death panels’ as Sarah Palin called them, is imposed. In other words, they need to start managing, like a Mitt Romney would do. Now there’s an idea. Mr. Romney has demonstrated a real genius for turning around fledgling businesses and organizations, like the Winter Olympics. He is a topflight CEO. If the president would like to score some political points, he should reach across the aisle and appoint Mitt Romney to head the VA.
It’s time to move beyond musing. It’s time for action. 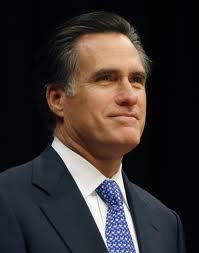 It’s time for President Obama to humble himself and ask Mitt Romney for help. The VA needs a man of action, not a man of words. I think a better idea would be to eliminate the VA system entirely. Sell off the hospitals to private/non profit health organizations. Give the veterans private insurance and let them work with their own doctors. I’m a veteran, and have always felt the VA is a terribly inefficient and wasteful organization. Having spent 25 years in the army, I was witness to the wastefulness and corruption that can occur in big organizations. Accountability is terrible! In addition, working in healthcare, I resent the fact that my counterparts earn 20% more than I do in the state of Iowa, plus their benefits are far superior and less expensive compared to my own. Eliminate the whole VA system and let them see what it’s like to work for an organization that holds you accountable, and where you don’t have the ability to hide results! Your suggestion makes a whole lot of sense to me. Thanks for weighing in. Great to hear from you! You’re not that much older than I! Agree with you, as always.